External bulletproof vest has pockets for armor plates to be fitted inside them to stop the impact of higher caliber of bullets. Bullet proof plate can come in level III (3) and level IV (4), bullet proof plates used to stop rifle rounds. Essentially, if you work in a hostile area, where there is a high likelihood of a shootout, a bullet proof vest can save your life. The armor plates fitted in the vest are a separate gear that a person can fit into the bulletproof vest. This additional protection in the bulletproof vest can protect a person from high-powered assault rifles. The armor plate can also protect you from a knife stab, a slash attack or weapons fires from a close range. You can buy plates made from ceramic or steel or another light material as Dyneema and polyethylene, depending on the purpose of the armor and your preference. The sole purpose of wearing armor plate is to stay safe from rifle rounds. Mostly, the SWAT teams, active shooters, quick reaction teams and people involved in combat require bullet protective plates to shield them from the firefight. It not possible to get a same protection from soft armor, the hard armor plate have the strength to endure strong bullet impact, and they stop the bullet from hitting your upper torso. Body armor plates will protect the body by using the military set guidelines to provide vital organs protection. You can get the light body weight plates covered in nylon fabric. These plates can be in a single curve or multi-curve shape. The plate comes in various shapes and sizes. You can purchase the front, back, and the side plates in order to have a full protective armor. The standard for size for a plate is 250mm x 300mm, and you can find different sizes to fit your torso. Different types of plates have different protection level from level III, III+ and the highest level of IV, some can handle bigger impacts than others, depending on the features of each plate type. The weight of the body armor plates depends on the material the plate made from. The higher NIJ rating of the plate, the more effective it is to handle huge impacts. Level IV plate can protect a person from the impact of an AK47 rifle bullet. A plate can weight approximately 1 kilogram, and a heavy plate can weigh up to approximately 4 kilograms. Importantly, the armor plate can be used to reinforce the bulletproof vest, especially from powerful weapons like rifles. In most cases, a bullet from an AK47 rifle will tear through the bulletproof vest IIIA. Nonetheless, with the additional plates, the bullets be stopped. 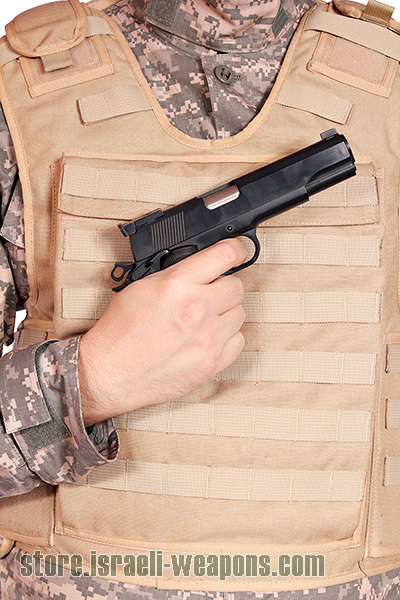 Most bulletproof vests can only stop the short handguns, and therefore, people involved in the combat field require a more comprehensive protective armor in order to avoid fatalities.